In the latest Podcast, GaelicSportsCast takes a look at the Brittany GAA season in the Northwest of France. Competitions are already underway for the 2013-2014 season with tomorrow, Saturday Nov 30, seeing the quarter final of the Brittany Football Cup between host’s Rennes and new club Tregor. 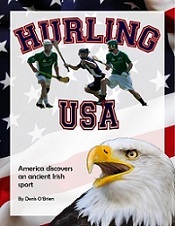 Brittany GAA International PRO, Andre Paquin, reviews the action to date, the season ahead and the beginnings of hurling in the region.